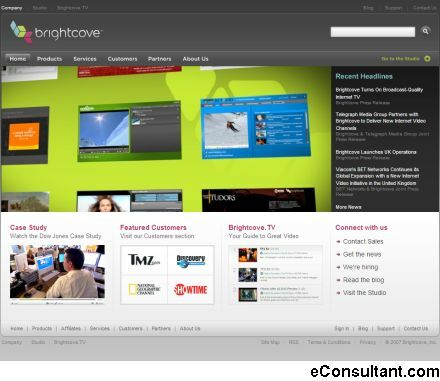 Description : Brightcove lets you realize the potential of online video with the most comprehensive Internet TV service available today. Brightcove empowers content owners from independent producers to major broadcast networks to reach their audiences directly through the Internet. At the same time they help web publishers enrich their sites with syndicated video programming, and give marketers more ways to communicate and engage with their consumers.